“Victory is coming to liberate Nineveh,” Nofal al-Akoub told Al-Sumaria News. Qayyarah air base is located south of Mosul, Iraq’s second largest city and Nineveh’s capital. 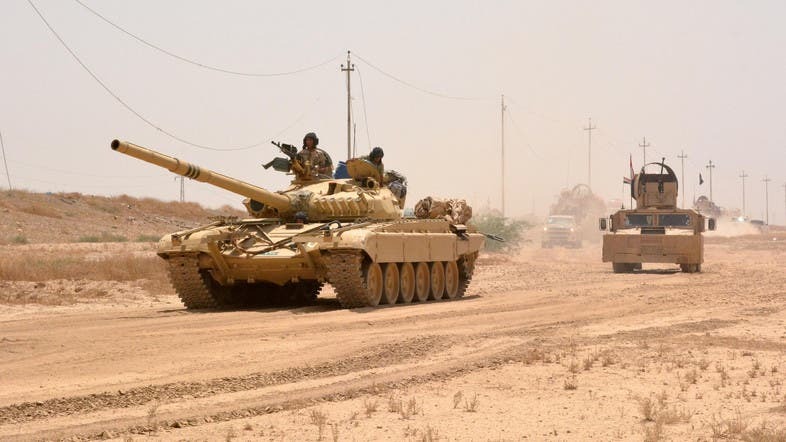 After liberating the ISIS-stronghold city of Fallujah west of Iraq in late June after it was occupied for two years by the militant group, the Iraqi government is vying to liberate Mosul, which is located only a few dozen kilometers from autonomous Iraqi Kurdistan. Freeing Qayyarah air base will give Iraqi forces - who are backed by US air strikes - a strategic launch-pad to wage their offensive to finally liberate Mosul, considered to be ISIS’s last stronghold in Iraq. Akoub said an army brigade took the base at 10 a.m. local time on Saturday. “We want to announce the good news to [Iraqi Prime Minister] Haidar Al-Abadi, to all of the Iraqis and especially to the people of Nineveh,” he added. The news come after ISIS claimed a deadly attack on Iraq’s capital Baghdad on Sunday. The ISIS suicide bombing attack in Baghdad’s central Karrada neighborhood on Sunday, which killed 292 people, was the deadliest in Iraq since the 2003 U.S.-led invasion. The death toll has been rising as more bodies are recovered from the rubble. The prime minister described the attacks as the militants’ response to Iraq’s “great victory in Fallujah, which stunned the world,” according to a statement released by his office.